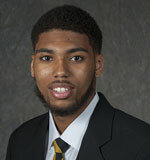 Roy Devyn Marble wants to finish his Iowa career with a flourish. The 6-6 senior guard has played a big part in the turn around of a program that hit rock bottom under former coach Todd Lickliter but is now poised to make a return to the NCAA Tournament. Marble says you only get four years to do what you can and he now has the chance to make the most out of those opportunities. Marble is averaging nearly 18 points per game in conference play and is one of the players being considered as the Big Ten player of the year. “I’m not really worried about it or concerned about it, I just want to play how I play and get as many wins as possible, and if I win it I do, if I don’t I don’t,” Marble said. He said he wasn’t even considered to be on the all Big 10 team, let alone be a contender for player of the year, so he said he must be doing something right. That Hawkeyes are 18-6 overall and 7-4 in the Big Ten. They return to action on Saturday with a visit to Penn State.